Beginning as farmland, the town of Cheverly has turned into a quaint and livable community just minutes from the nation’s capital. Located in the western portion of Prince George’s County, the town is just a mile from Washington D.C. and lies between two major roadways, the Baltimore Washington Parkway, and Maryland Route 50. Once it was incorporated in 1931, Cheverly began to develop better roads, services, and most importantly, homes for incoming families. These homes, which were built through the 1960’s, consisted of early Cape Cod houses, along with ranch and split-level types. Unfortunately, Father Time isn’t always kind, and the buildings built during these times are beginning to suffer foundational damage. The presence of water over time can cause homes and buildings in Cheverly to suffer major structural issues, such as bowed walls and cracks in the foundation. Therefore, if you notice any problems with your home’s foundation, seek foundation repair in Cheverly. When beginning an inspection of your home, start with the foundation itself. This underlying support is never supposed to show any noticeable signs of structural damage. Look for any vertical, horizontal, or zigzagging hairline cracks, along with any ruptures of gaps. The sloping, sagging, and buckling of foundation floors and walls is also something to watch out for. Moisture, whether it’s a pool of water or a gathering of mold is also something to be on the lookout for. These are all signs that foundation repair in Cheverly is needed. These types of inspections should be conducted both inside and outside of your Cheverly home. Having improper water drainage is one of the leading causes for foundation repair in Cheverly. Soil around the home will expand during wet spells and contract during dry ones, resulting in unnatural soil shifting. This process can put tremendous pressure on the underlying foundation of the home. On top of being the major reason for foundation repair in Cheverly, improper water drainage is also a sign that foundation failure has already taken place. Cracks that are present in the foundation will allow water to seep down into lower levels of the soil, resulting in excessive moisture. Having water damage requires immediate attention. As a homeowner, you can check if your Cheverly home is in danger by inspecting the soil around your property. Check to see if the soil is unnaturally wet, assuming that no rainfall had recently occurred, or if it’s unusually dry. Water damage may also be invisible to us. In order to identify any invisible leaks, shut off all water-based appliances, check the water meter and record the exact readout. After waiting six to twelve hours, check your water meter again to see if anything changed. If there is a change, this may mean that a leak exists behind the wall or underneath the floor of your home. Having foundation damage can be extremely overwhelming. However, you need to act upon this problem sooner rather than later. 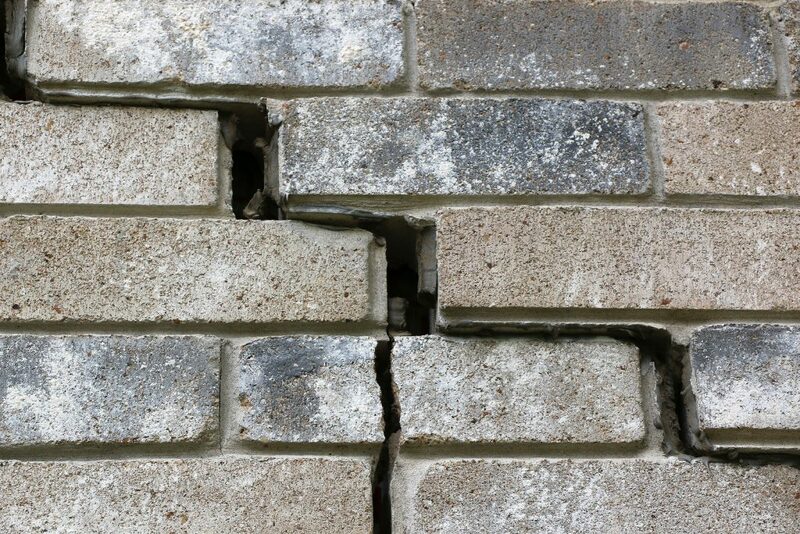 If you’re in need of foundation repair in Cheverly, contact our reputable foundation repair company for all of your needs. Having worked in the Maryland area for nearly 30 years, we understand the foundation repair process and will guide you through every step of the process.